All righty, let’s talk about something that often goes hand-in-hand with direct sales companies: brand loyalty. Brand loyalty is a simple concept: it means that you only use products from that brand. All network marketing companies encourage brand loyalty, and some representatives will tell you it’s a must. Brand loyalty shows that you’re confident enough in your product to use it yourself on the daily. It’s also a great lead in. For example, if someone compliments you on an item from your line because you’re wearing it, it’s easy to strike up a conversation about it. Let’s just get it out of the way – I’m not loyal to Mary Kay. That’s right y’all. When it comes to makeup, I use stuff from all different brands. Certain makeup products, such as lipsticks, eyeshadows, blushes, and highlights, are just too diverse for me to declare brand loyalty to Mary Kay. So many different brands offer so many different colors and formulas and concepts. Plus, by the time I joined Mary Kay, I already had a significant makeup collection, and it would have been a waste to never use any of it again. All that being said, there are some Mary Kay makeup products I am strictly loyal to. In my experience, these products are the best and I have no reason to ever shop around for anything new. These products are my tried and trues. My holy grails. I use them every time I do my makeup. Lets start with my all-time favorite product: Mary Kay TimeWise Matte Wear Foundation. It’s everything I’ve ever wanted in a foundation. I used to be a foundation hoarder. At any given time I’d have 7-9 foundations in my collection and was often known for mixing my foundations. I was in search of perfection, and I have found it! This foundation is formulated for my oily/combination skin type, has buildable coverage, and wears beautifully all. day. long. But the real reason this foundation is amazing is because it’s formulated with skincare ingredients. That’s right – it actually improves your skin as you’re wearing it! It’s like a win-win-win-win situation! My next tried and true is another complexion product: CC cream. CC stands for “complexion correction”, and this light-weight product does just that. It somehow does a lot of correcting with a light-as-air feel. This product is easy to apply and even easier to match to your skin tone. It’s great for my “no makeup” makeup days, especially during summer. My next favorite product is the Mary Kay Perfecting Concealer. This product provides amazing coverage with the smallest amount possible. I literally use a dot toward the inner corner of my eyes and find it to be sufficient. I also love that this comes in a light enough shade to highlight my complexion. This (dirty) beauty sponge is by far my favorite sponge. If you want to read about all my feels about it, click here. In short, the firm texture of this sponge works the foundation and concealer into my skin amazingly! This translucent powder is a hidden gem of the makeup line! It’s finely milled, which means it provides a soft focus, blurred effect to my skin and a velvety smooth texture. It also helps keep my oil in control. Just the smallest amount keeps my makeup set in place all day! And at $16 a container this stuff is a steal! Now, I’m not an everyday eye liner girl, but these babies are my go-to. The pigmentation is very opaque and this stuff is legit water proof. Like, does not budge. And I love that there is a brown (and gray) option. Lastly, Mary Kay mascaras are amaze-balls! All of them are great but these two are my favorite. The Lash Love Water Proof really helps keep my eye lashes curled and the Lash Intensity brings drama to the look. Both of them give me a voluminous look! If you see me wearing these types of products, I’m definitely wearing one of these fabulous Mary Kay products. I simply can’t get enough! I’m confident that these products would suit anyone as well. What are some of your tried and true products? Why do you love them so much and continue to repurchase them? 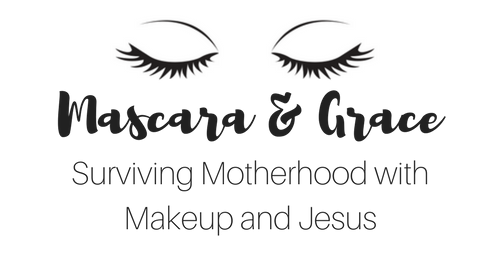 Check out my latest posts on makeup! I LOVE Mary Kay! I’m using the lash love mascara now and it is wonderful. That’s great! Very happy to hear that! Mary Kay has so many great products. Definitely want to check out the translucent powder you mentioned!